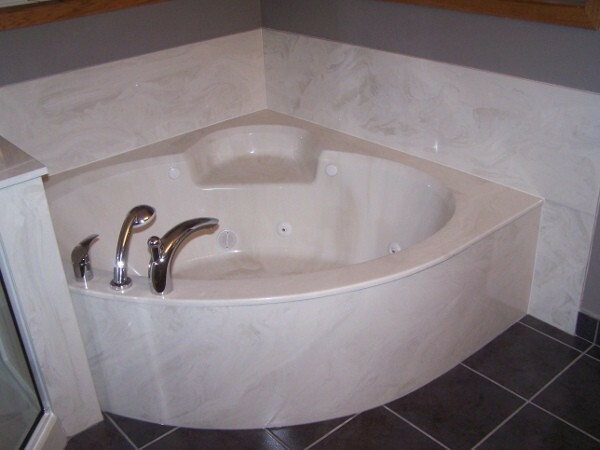 Whether you are looking for replacement bathtubs for your home in Edmonton or a new bathtub installation, Edmonton Bath Products, Ltd. has the perfect fit for the look that you want in your bathroom. 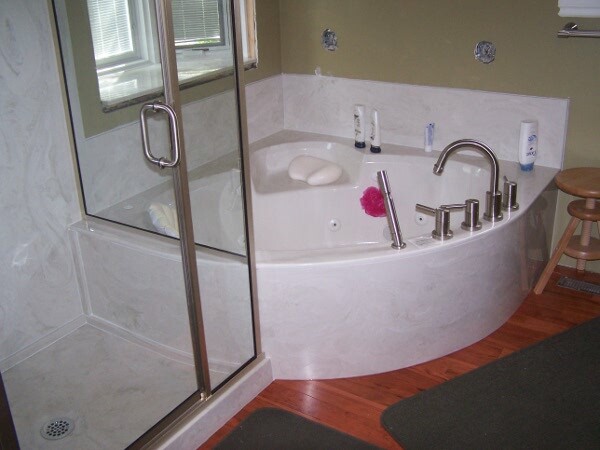 While we can come and install a standard or garden tub in your home, most of our clients also choose to have one of our cultured marble or other surfaces installed to surround the tub and as a backsplash. Also, we manufacture and install premium sized tubs with such options as additional jets to enhance the comfort and luxury of your bath. Using our cultured marble surrounds has a number of advantages. 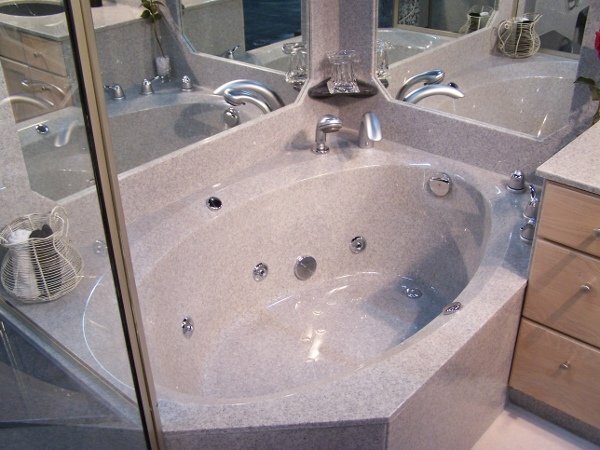 It gives your bathroom the look of genuine marble — but without the hassle and high upkeep that genuine marble requires. Real marble has pores that soak in stains and is generally easier to chip than its cultured counterpart. It also requires that you use a special marble cleaner, while cultured marble surfaces allow the use of general purpose home cleaners in most cases. You’d have to cut through the top layers of a cultured marble finish in order to tell that the material isn’t genuine. 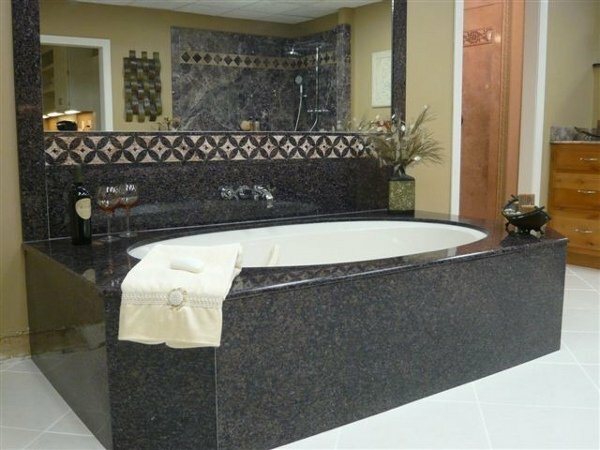 Some of our clients are concerned about the lack of available space for a premium-sized tub as a part of their installation plan. You can use the corner of a room to set in an angled bath that is significantly larger than a standard tub without taking any more of the length of the room away, leaving room for a separate shower. You can choose from modern or classic faucets, spigots and other fixtures, as we carry choices from a wide variety of manufacturers. When it comes to layout, we offer several options to our clients. 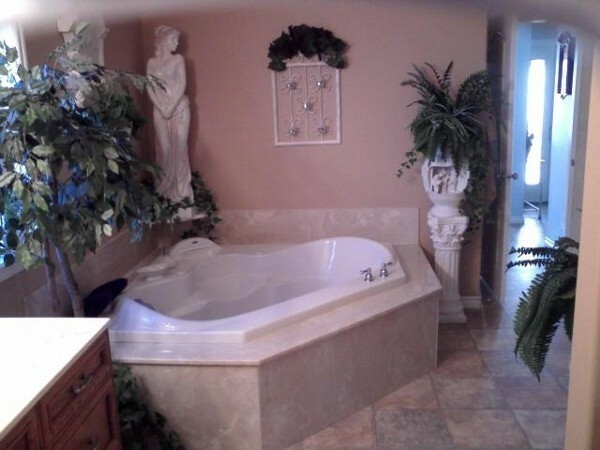 One is a standalone tub with a walk-in shower behind it. 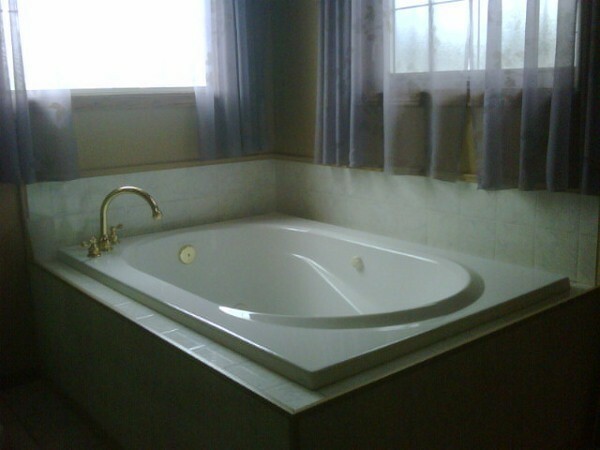 Another is an angled tub next to a standalone shower. Shapes range from standard to oval to a variety of creative possibilities that will fit within the space that your bathroom provides. Since our opening in 1979, we have provided renovation and installation services for homeowners in the Edmonton area. We work with clients who are building a new home as well as those who are overhauling their bathrooms as part of a renovation of their existing home. More and more people are choosing to renovate their homes in Edmonton these days because of the low interest rates available for home equity loans — and the increasing prices in the real estate market. 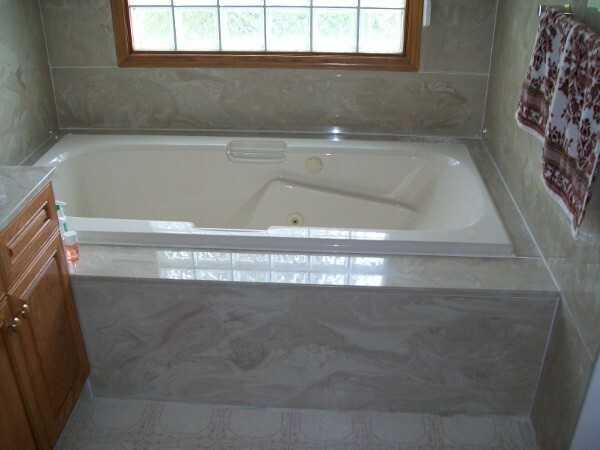 We have a database of satisfied clients whom we can provide to you as references for the quality bathtub installation services that we have provided to Edmonton clients over the years. Our mission is to provide both the very best in terms of quality materials as well as installation completed on time and under budget. We view each client as a partner in a long-term relationship, and we look forward to helping you transform your bathroom into the oasis that you deserve. 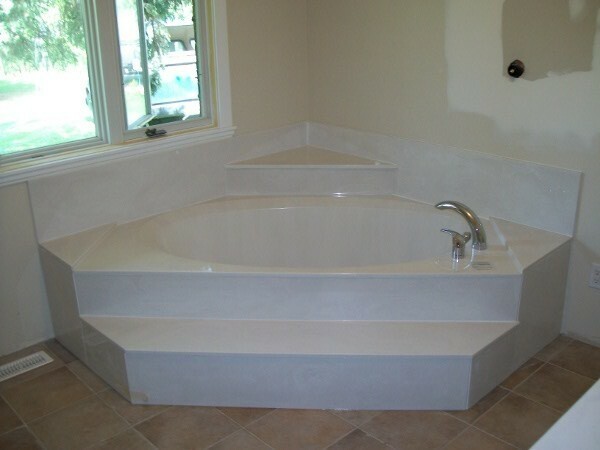 Give one of our bathtub installation specialists a call today, and we will come to your house and make recommendations as to the right choices for the look that you want.